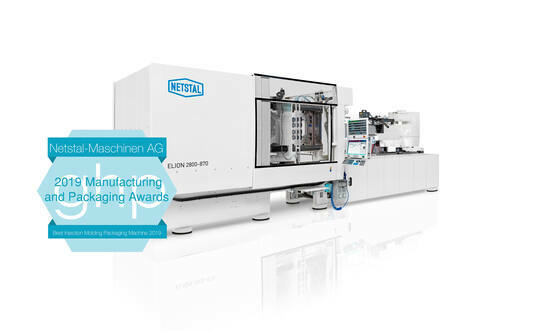 Netstal has been awarded the title of “Best injection moulding machine” at the 2019 Manufacturing and Packaging Awards from Global Health and Pharma. The awards ceremony honours the innovative capability of the medical packaging industry in more than 50 categories. Netstal has been recognised as a manufacturer of the best injection moulding machines for packaging applications at the Manufacturing and Packaging Awards 2019 of the Global Health and Pharma (GHP) trade publication. The Swiss injection moulding specialists were selected after thorough internal research, stakeholder surveys and a final evaluation by the awards panel. The GHP panel is made up of international representatives from industry, research and journalism. “We are very honoured to receive this recognition. With the all-electric machines from the ELION series and the innovative aXos control system, we offer our customers the best technology for efficient injection moulding of medical packaging,” says Renzo Davatz, CEO at Netstal. 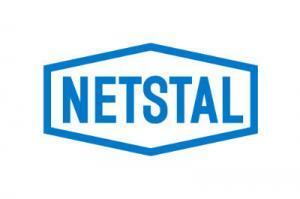 Numerous well-known manufacturers from medical technology and pharmaceuticals worldwide have placed their faith in injection moulding solutions from Netstal. A unique operating concept, Smart Operation was introduced in 2018 and can be used to further increase the overall effectiveness of the system. The new option for the aXos control system supports a guided and safe sequence of individual operating steps in the production environment. Handling specifications, such as Good Manufacturing Practice (GMP), are embedded in the control system and are reliably adhered to. The market for medical packaging is still growing. GHP’s Manufacturing and Packaging Awards 2019 are intended to recognise the continuous work and innovative capability of this sector. The awards program consists of over 50 categories and, according to GHP, provides the perfect platform for showcasing the excellence of an industry that generally makes a valuable contribution behind the scenes toward global health care.